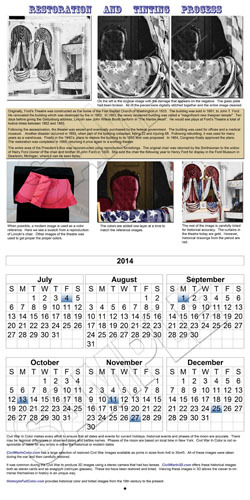 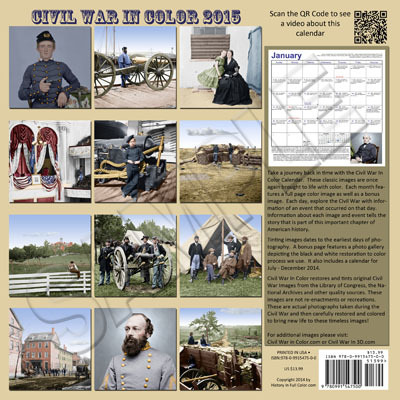 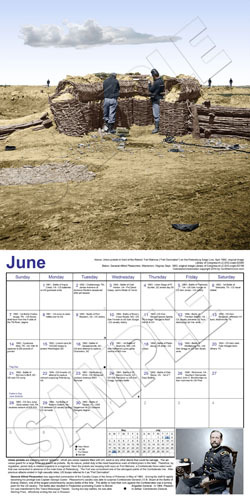 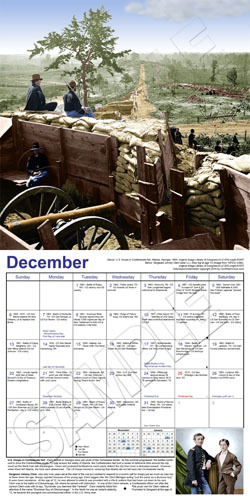 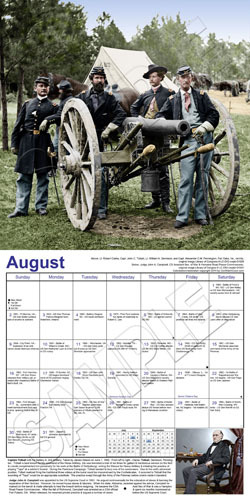 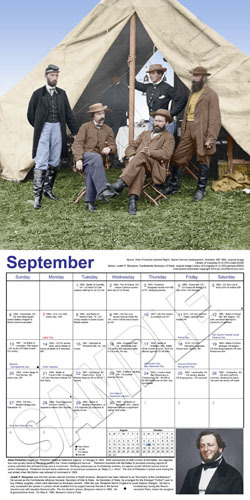 The 2015 Civil War In Color Calendar is now available! 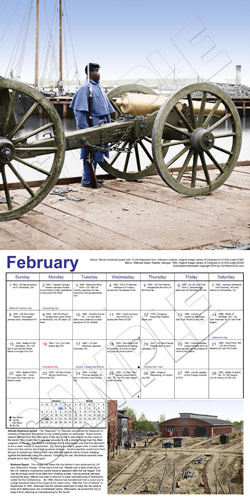 Take a journey back in time with the Civil War In Color Calendar. 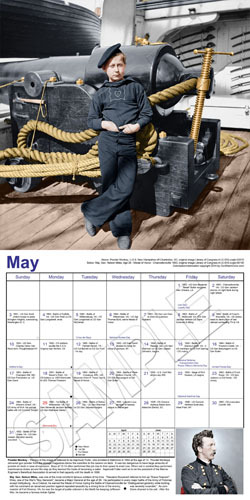 These images are once again brought to life with color. 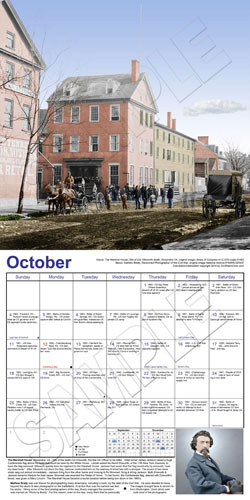 Visit Gettysburg, Antietam, Atlanta, & Ford’s Theatre. 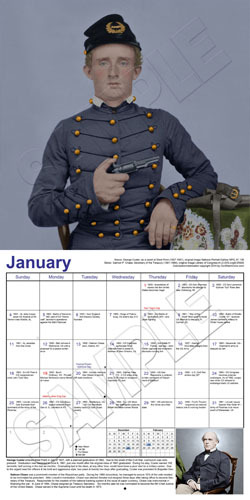 Spend time with a Confederate General as well as a female spy and Custer as a cadet! 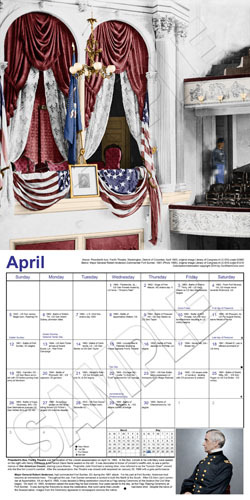 Each image is part of the Library of Congress or National Archives Civil War Collection and was taken between 1861-1865. 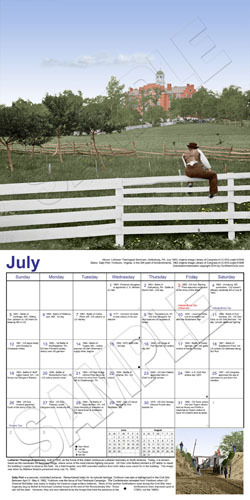 The images have been carefully restored and tinted (colored) to provide a modern realistic image. 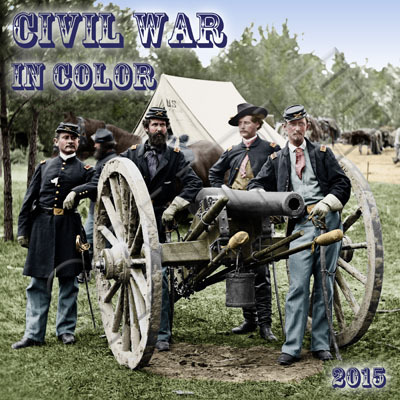 Each month contains two colorized images for a total of 24 full color photos! 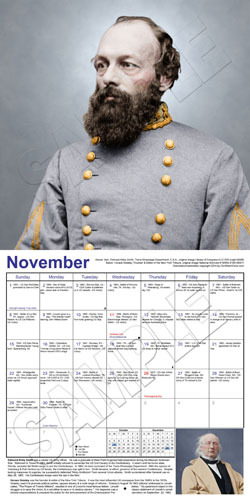 Every day of the year includes trivia of Civil War related events that occurred on that day.